"Roger represents something very odd which is a connection between the two cities, normally everybody’s story is about the disconnections, and I’m probably one of the prime symbols of that." When Roger Eagle rode into Manchester in the early 1960s, the music scene was dominated by imported pop and the hippest clubs were 200 miles away in London. Yet this man would become a pivotal figurehead in changing all that. Fortune led him to a job putting records on at The Twisted Wheel. Ignoring the thriving Beat scene, Roger promoted gigs by and played the recordings of the original Blues and Rhythm and Blues artists, often bringing them over from the States at his own expense. The club's music policy, at odds with just about everything else in the country at the time, was an instant hit and crowds flocked to the Wheel all-nighters from all over the country. This scene later morphed into Northern Soul. Eschewing the Motown hits of the day, Roger sought out soul rarities, recordings that were often deleted weeks after they were pressed. This obsession formed the basis for the new movement - the basis for most subsequent club-based subcultures. Yet, tired of the repetitive nature of Northern Soul, Roger’s next project saw him open The Magic Village - a short-lived psychedelic all-nighter that became the cornerstone of Manchester's late sixties counterculture scene before he moved on to Liverpool Stadium, promoting gigs by artistes as diverse as Led Zeppelin and Cat Stevens. Sensing that the stadium rock scene was burning itself out, Roger opened Eric's, a club in the heart of Liverpool that became the blueprint for Tony Wilson's Factory. Eagle's influence on the Liverpool music scene of the late seventies was sufficient to inspire confidence in a new generation of artists, songwriters and bands, and pull the city out of the massive cultural shadow cast by The Beatles, spawning the likes of Echo and the Bunnymen, The Teardrop Explodes and Big In Japan. By the mid eighties, Roger had returned to Manchester in time to promote gigs by the likes of James, Happy Mondays, The Stone Roses and Inspiral Carpets as Madchester took off. Although it was his success in promoting the growing World Music genre that gave him most pleasure. In a career that uniquely straddled the cultural gulf separating Manchester and Liverpool, Roger Eagle laid the cornerstones for the musical heritage of both cities. Despite his death in 1999, his influence can still be felt today. What Sykes has done is gather together all the right people, who have then provided often very personal insights in Eagle’s life, his business dealings and his dreams. Through these recollections what comes across most strongly was that Roger Eagle was a man with an unbreakable desire to educate, to bring new unheard music to a wider audience This fascinating book will appeal to anyone with a passion for music, the person who would always buy the vinyl, the CD before the more mundane things in life, you don’t have to have attended any of Eagles ventures; just be willing to open your mind to new possibilities. "If we lay aside the Scouse-Manc rivalry we can acknowledge the north-west of England as one of the world's musical hotspots. A staggering proportion of it's achievements can be traced back to this one man, whose name remains pretty well unknown. Sit Down! Listen To This! - the title itself captures Roger Eagle's crusading zeal whenever he had a prized piece of vinyl and a willing victim - is the first book to place him centre-stage. In addition to providing a rounded portrait of the subject, Sykes sets straight several Unchallenged myths that have grown up about North West music, stressing how almost uniquely Eagle had his feet planted firmly in both Manchester and Liverpool, cities that many commentators have sought to unite through music. An inspiring study of a true one-off, packed with anecdotes and compulsively readable. The book captures his genius, his sometime lonely life, the humour, the sadness of his final illness. He never sought the limelight – how scarce a human quality that now is. Every move he made as a DJ educated a generation of youngsters in the blues and its connecting rhythms; and this book by Bill Sykes is a fitting, timely tribute as well as an important contribution to the debate about Manchester, Liverpool and music. One could continue for ever with this story of a man, a time, a music that inspired so many and which, thankfully, has inspired this book. In time to come the book will become a document of a musical tradition, a time, a region, in its own right. Roger was major music freak. He collected records, wrote articles, edited magazines, picked up on changing music tastes before anyone else did, ran clubs, was a DJ and promoter. If it had anything to do with music Roger had been there, done it and bought the cassette (and made a copy for his mates!). Author Bill Sykes has written a definitive biography of this influential man, so definitive in fact that there's unlikely to be a better book detailing the rock’n’roll history of the north of England. Essential reading for anyone interested in British music, and heartily recommended to Savoyards everywhere. feels the musical knowledge he's accrued should be shared in the same manner as his mentor Roger Eagle did. 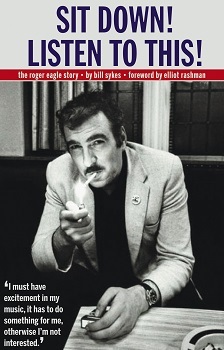 Bill Sykes initially took up writing to realise Roger Eagle's biography. He completed an apprenticeship as a pipefitter / welder in 1982, and moved to London from his home town in Derbyshire in 1995 for better employment opportunities. 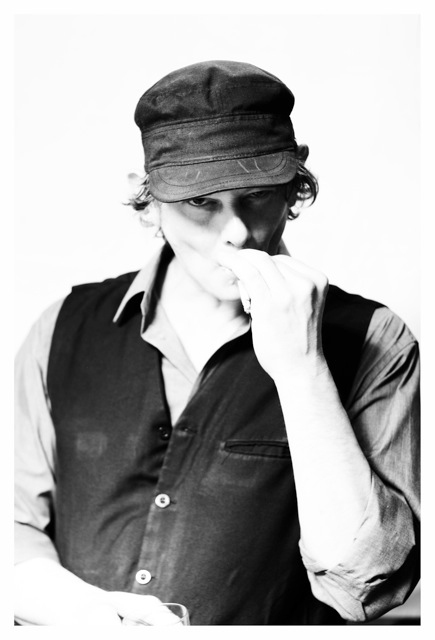 He has been involved in the music industry for more than thirty years, variously as singer, harmonica player, DJ and avid fan. Music has always been an abiding passion in his life. He feels the musical knowledge he's accrued should be shared in the same manner as his mentor Roger Eagle did.